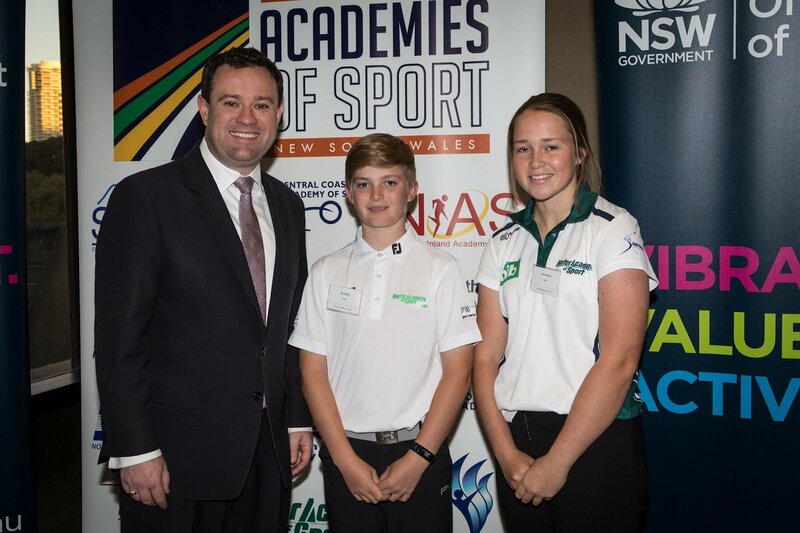 Grace Wrixon (Softball) and Brij Ingrey (Golf) represented the Hunter Academy of Sport on Tuesday afternoon, and were recognised as a collective at a leadership forum followed by the Parliamentary Function for their contribution to the Regional Academies of Sport (RAS). The two HAS athletes, alongside ten of their counterparts from other academies, attended a leadership forum prior to the function. They were motivated by guest speakers Nathan Hindmarsh (NRL Ambassador), Samantha Poolman (Giants Netballer) and Anne Fitzgerald (ClubsNSW). The trio spoke about the importance of being a good athlete and leader, and how they made it to where they are today. Following the forum, staff and athletes from the RAS gathered in the Strangers Lounge for a Parliamentary Function, which recognised and honoured the work of the Academies and their contributions to sport. The Speaker of the House, The Hon. Shelley Hancock MP and The Hon. Stuart Ayres MP, The Minister for Sport and Member for Penrith, extended their congratulations and gratitude to the success of Academy athletes from all over regional NSW. It was a great opportunity for our Grace and Brij to not only be recognised by influential politicians and corporate supporters, but to meet other athletes competing in various sports from Regional Academies all over the state.